This family seeks an organized and motivated individual to care for their children and maintain the home while they are in school. 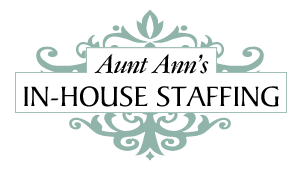 They need an excellent multi-tasker who can care for their two little ones and also take the reins as family assistant, assisting with household tasks, chores and errands. Their 4.5-year old girl goes to school and has an extracurricular activity each week day, while their 3-year old boy goes to school 3 days per week and has an extracurricular activity each day. A typical day requires getting them ready for school and activities, drop-offs and pick-ups, preparing lunches and dinner, pitching in with laundry, running errands and keeping the home tidy. On days when the children are not in an activity, they get an hour of "downtime" in the afternoons. The family can provide a car and/or parking. However, many of the children’s activities are in walking distance from the home and they would love a nanny who would enjoy walking with them, versus always getting in the car. The kids also have bikes that they love to get around on! The schedule is stable from week to week during the school year, but flexibility is required during the summer as the children have camp in the mornings and might not need help until later in the day. They are looking for someone open to working late (no later than 9 p.m.) once a week so the parents can have a date night. There in an opportunity to work some weekend evenings, but not expected. Preference given to someone open to traveling with the family and possibly working an occasional overnight. - Organizing play dates and trips to the library, museums, etc.